Six individuals and two initiatives that have helped strengthen and expand town-gown ties were honored at the annual Seton Elm and Ivy Awards reception on April 11. In addition, a Special Elm and Ivy Award was presented to longtime Yale administrator Bruce Alexander, who served as vice president for New Haven and state affairs and campus development. Elm Awards honor individuals and organizations from the city, and Ivy Awards go to those from the university. 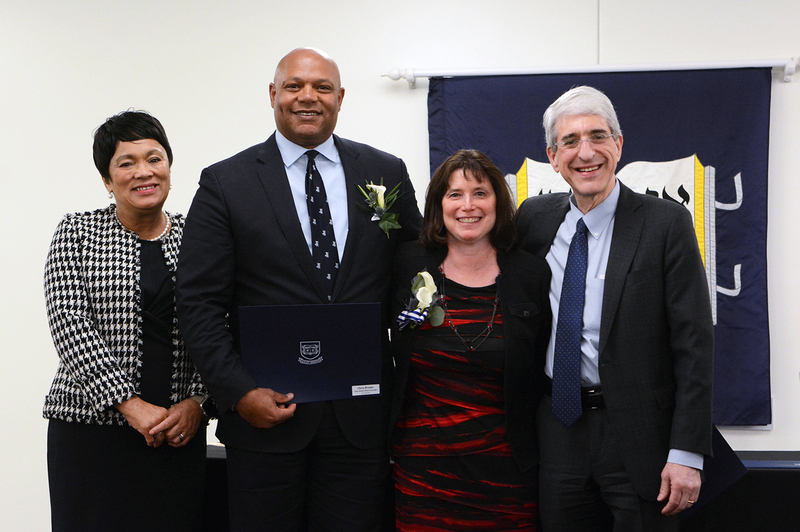 Yale President Peter Salovey and New Haven Mayor Toni Harp presented this year’s awards. The Seton Elm-Ivy Awards were established in 1979 through the inspiration and support of Fenmore (Class of 1938) and Phyllis Seton, who established an endowment at the Community Foundation for Greater New Haven to support the awards ceremony. The first Elm and Ivy Awardees were named in 1980. A longtime patron of the arts, David Greco is the co-founder and executive director of ARTE, Inc., a grassroots organization dedicated to promoting Latino art, culture, and education in Connecticut. David gets local middle-school students excited about attending college by bringing them to tour Yale’s campus and meet Latino students. He partners with Yale organizations, such as Yale’s La Casa Cultural, to host free events. Yale students serve in ARTE’s college readiness courses, after-school programs, and the annual Family Arts and Science Workshops. And when Hurricane Maria struck Puerto Rico, David joined forces with the director of Yale’s Ciencia Initiative to coordinate medical relief efforts and led the New Haven for Puerto Rico initiative, raising over $130,000 for the island. 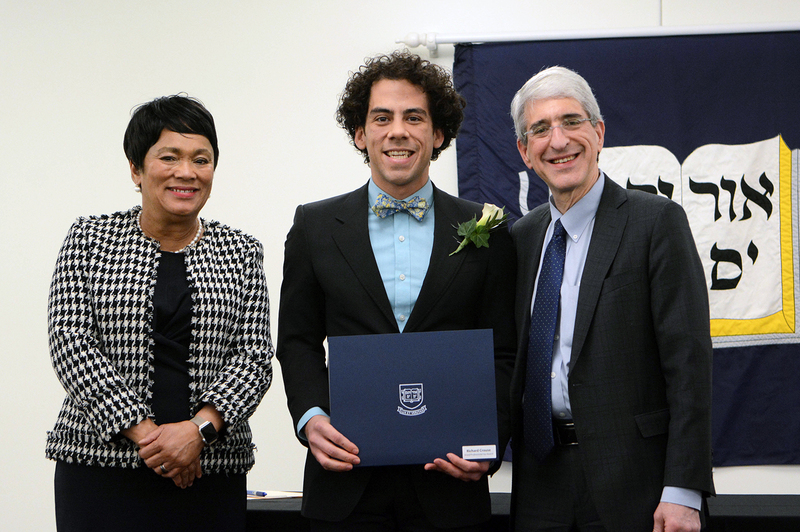 For connecting young people to Yale resources to provide more exposure to art, culture, and education, Mayor Toni Harp and President Peter Salovey are pleased to present David Greco with an Elm Award. A 1982 graduate of Yale, Patricia Melton returned to New Haven in 2012 to become president of New Haven Promise, continuing her lifelong dedication to helping young people succeed by opening doors to education. Under Patricia’s leadership, New Haven Promise, a college scholarship program funded by Yale, has evolved into a “to, through, and back” program, with the goal of assisting youth in finding jobs in our city. Patricia launched the annual New Haven Promise summer job fair, which gives Promise Scholars the opportunity to interview with local employers. She has helped place over 200 Promise Scholars in internships across the university, and other local employers are becoming active participants. 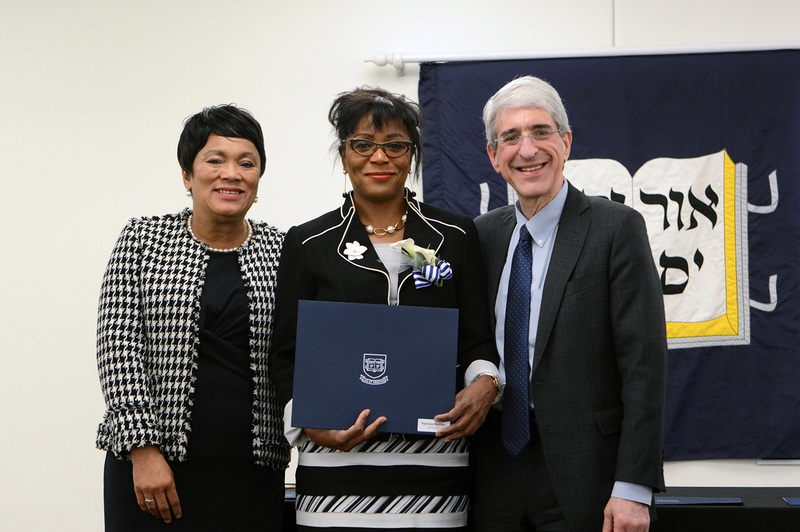 For her leadership in partnering with Yale University and the city around a common purpose — supporting local students to college, through college, and back to New Haven — President Peter Salovey and Mayor Toni Harp are honored to present Patricia Melton with an Elm Award. Founded by Yale School of Art graduates Titus Kaphar and Jonathan Brand in 2015, NXTHVN is a nonprofit arts incubator where Yale Art School graduates and other emerging artists are supported and encouraged to build their careers in New Haven. In partnership with Deborah Berke, dean of the Yale School of Architecture, NXTHVN transformed an old industrial warehouse in the Dixwell neighborhood into a true community for artists. Artist Fellows, including Yale School of Art graduates, receive a stipend and professional studio and living space in the building. Opening their studios to the community, they mentor New Haven high school student apprentices who receive stipends as they learn new art-making and research skills. 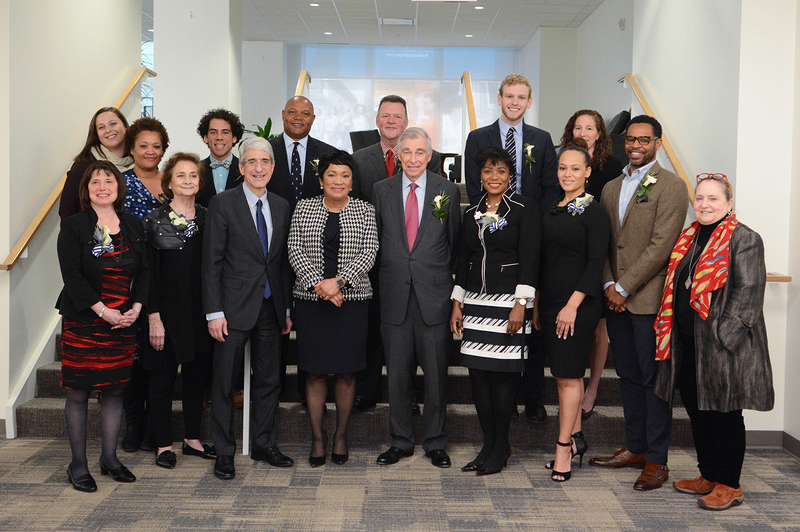 For forging a new home for emerging artists and their mentees in New Haven through collaboration and visionary leadership, Mayor Toni Harp and President Peter Salovey are honored to present NXTHVN with an Elm Award. For over 20 years, Linda Friedlaender has developed innovative programs to engage all members of community in her role as senior curator of education at the Yale Center for British Art. Linda’s creative accomplishments include programs for children and families living with autism spectrum disorders and adults with cognitive disabilities. She established summer workshops where New Haven teachers learn to use the center’s collections for object-based teaching and learning. Alongside the Literacy Volunteers of Greater New Haven, Linda trains over 100 volunteers annually on how to integrate picture books into the tutoring of New Haven public school students, including her own book “LOOK! LOOK! LOOK!,” which helps teachers prepare their students for museum visits. 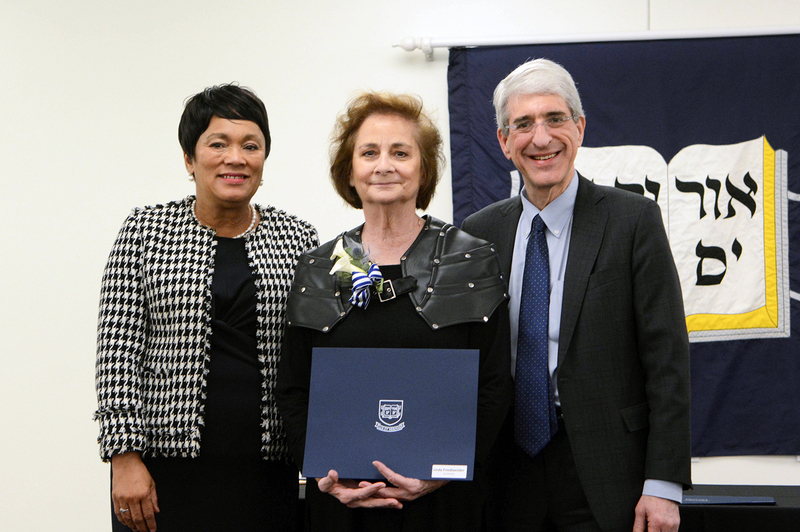 For creating connections between the community and the Yale Center for British Art, Mayor Toni Harp and President Peter Salovey are privileged to present Linda Friedlaender with an Ivy Award. As assistant dean of Yale College and the director of the Afro-American Cultural Center at Yale, Risë Nelson has made community involvement a feature of events and programs sponsored by the House. Last year, Risë brought filmmaker and activist Bree Newsome to Yale to speak to over 1,000 local high school students at Battell Chapel during the day and hundreds of people from across the city and campus at night. A new program, Black Film Fridays, brings the campus and local communities together to enjoy film screenings and break bread. And as part of the History Keepers Program, Yale students interview local residents to collect their stories and document the rich, intertwined history of Yale, New Haven, and the House. For ensuring that the House serves as a model of mutual engagement, Mayor Toni Harp and President Peter Salovey are proud to present Risë Nelson with an Ivy Award. The 2018-2019 Yale-United Way Campaign raised over $1.2 million from over 1,600 donors, bringing the total raised by the university over the past three decades to more than $22 million. This funding benefits local children and families by supporting school success, increasing access to healthy food and mental health services, and providing New Haven families with tools to help achieve financial stability. Every year, dedicated Yale staff and faculty members form teams to raise resources for the United Way in fun and unique ways. And this year the United Way tri-chairs coordinated the New Haven Day of Caring, convening people from the New Haven and Yale communities who engaged in service projects across the city. 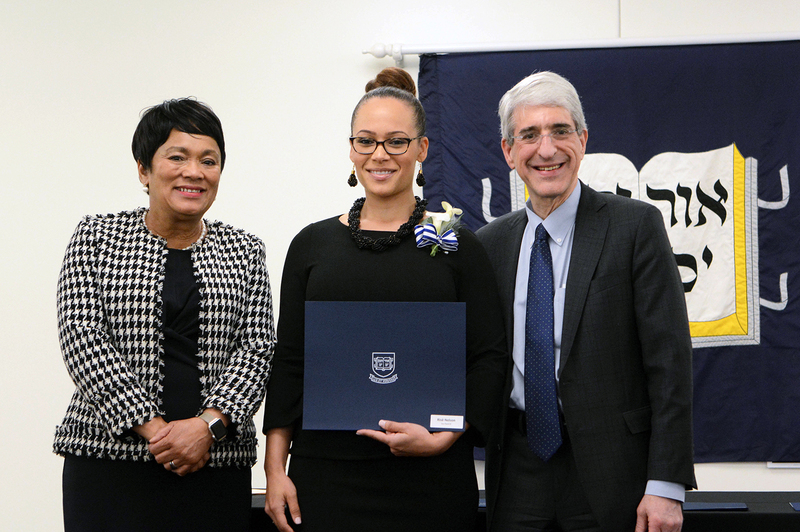 For mobilizing resources and volunteers to benefit New Haven residents, Mayor Toni Harp and President Peter Salovey are privileged to present the Yale-United Way Campaign with an Ivy Award. Matthew Coffin, a member of the Yale College Class of 2019, is passionate about contributing to the New Haven community. Among other activities, he provided weekly tutoring to autistic students at Wilbur Cross High School and spent time volunteering with Squash Haven both as a Yale University President’s Public Service Fellow and well after the fellowship ended. Matthew shows other Yale students how to get involved as well. He is currently a first-year counselor and co-coordinator for Dwight Hall, Yale’s center for service and social justice. He has helped Yale undergraduates learn about our city as a leader of the FOCUS on New Haven orientation program and as a mentor in Yale’s First-Year in Service program. 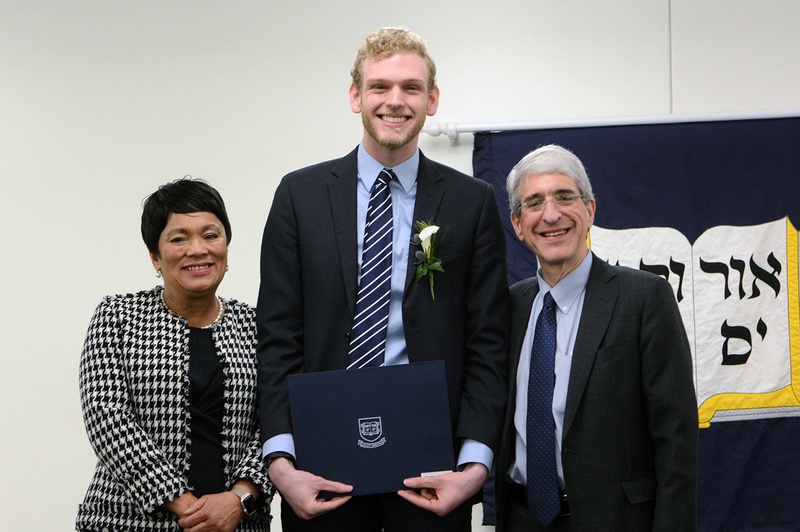 In recognition of Matthew’s incredible work on behalf of local students and undergraduates alike, Mayor Toni Harp and President Peter Salovey are pleased to present Matthew Coffin with an Undergraduate Ivy Award. Richard Crouse is making it his mission to expand STEM education in New Haven. A Ph.D. student in neuroscience, Richard is a leader of the Yale Science Diplomats, a group of graduate students and postdocs who bring science to the public in exciting and accessible ways. Two years ago, Richard launched the Flipped Science Fair, a new collaboration with Yale’s Pathways to Science, where middle school students judge graduate students and post-docs. Needless to say, both the middle schoolers and Yalies have truly flipped for this concept. Richard is constantly looking for creative ways to broaden the impact of Yale science in the community, such as encouraging Yale graduate students and post-docs to attend monthly Community Management Team meetings and serve as neighborhood science ambassadors. 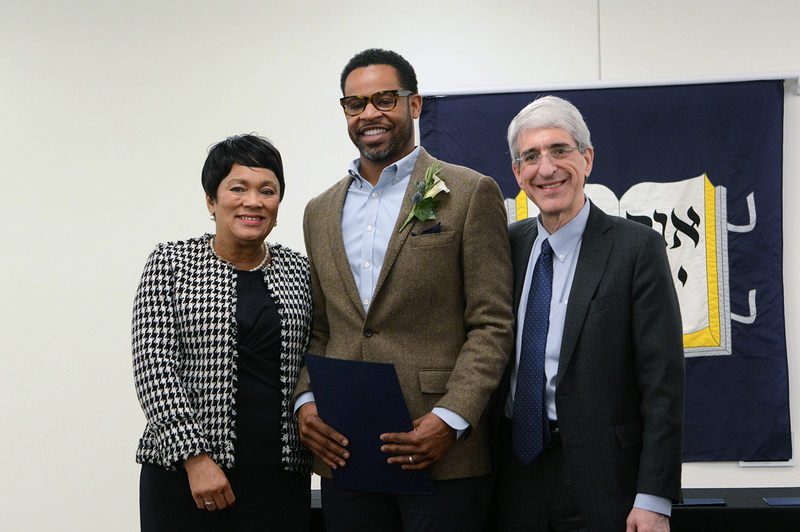 For sharing his passion for science and bringing Yale’s cutting-edge research to our schools and neighborhoods, Mayor Toni Harp and President Peter Salovey are delighted to present Richard Crouse with an Ivy Award. 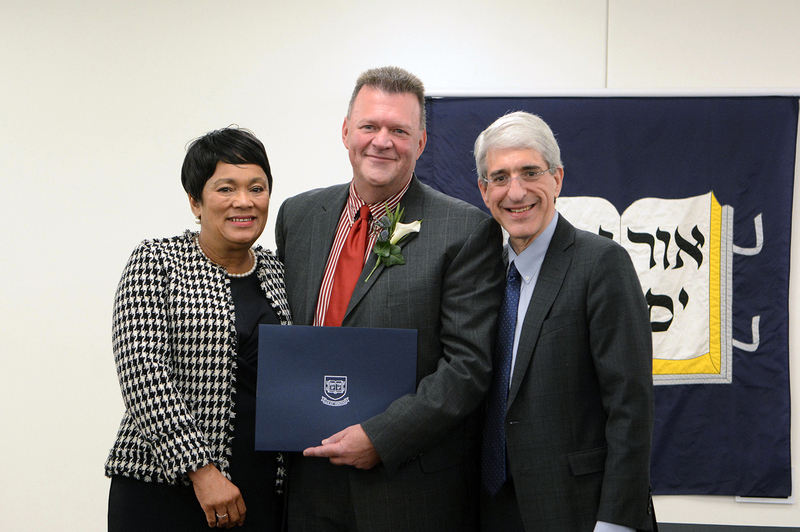 After serving for 20 years at Yale, most recently as the vice president for New Haven and state affairs and campus development, Bruce Alexander epitomizes the flourishing relationship between the city and the university that the Elm-Ivy Awards celebrate. When we walk around New Haven and see lively commerce, thriving arts, and engaged citizens, we see the fruits of Bruce’s labor. Bruce’s many accomplishments include the creation of programs such as New Haven Promise, New Haven Works, Yale’s Pathways to Science, and Market New Haven to the establishment of spaces such as the Dixwell Yale Community Learning Center, New Haven Reads and Scantlebury Park. Bruce always focused on what would strengthen New Haven as a city, as an economy, and as a community, and how Yale could contribute to achieve those goals. 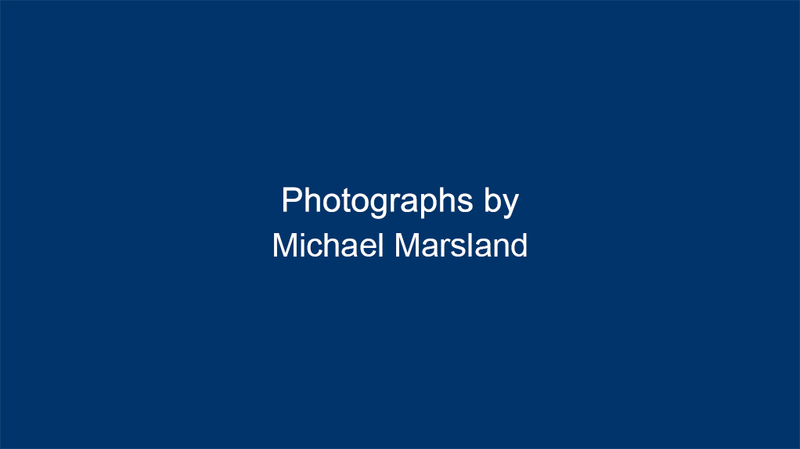 He has served on the boards of Yale-New Haven Hospital, the Community Foundation for Greater New Haven, the Economic Development Corporation of New Haven, the International Festival of Arts and Ideas, and other community organizations. 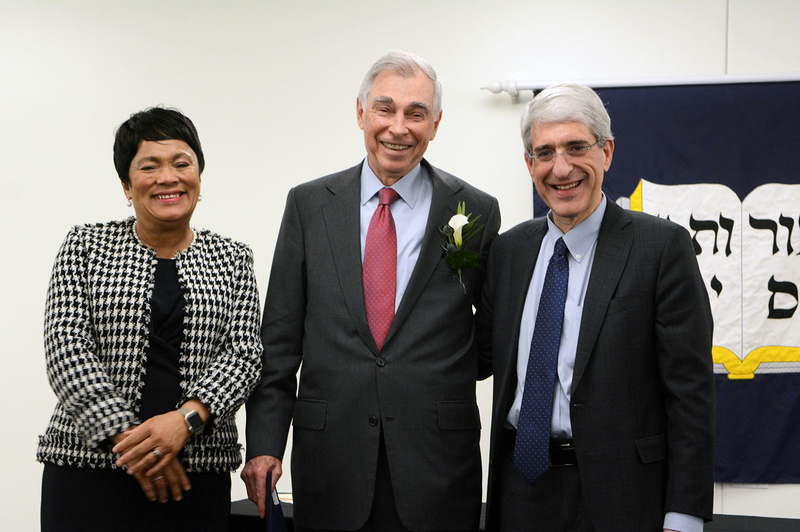 For his vision and efforts to help Yale University and the City of New Haven shine and thrive together, Mayor Toni Harp and President Peter Salovey are privileged to present Bruce Alexander with a special Elm and Ivy Award.